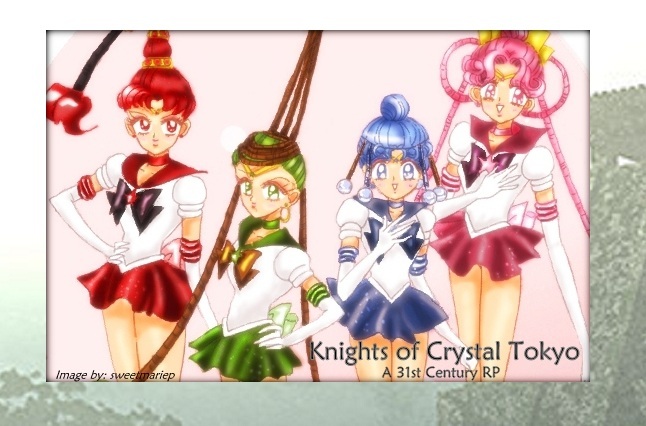 Knights of Crystal Tokyo » General » Announcements! » Announcement! Adoption of Ganymede! Attention! Ganymede, Galilean Knight of Fissures, has been adopted! Ganymede's Expanded Personality wrote: Ganymede is a jokester at heart. He's very mischievous and loves to play pranks on his friends. He will also tease people to their limits. He loves to tease Io about his height. He never takes anything seriously and is very laid back. However when something important at stake he takes things very seriously. Ganyemede is able to make friends easily which makes him very trusting and loyal. This could be his down fall since it's consider bad to trust people quickly. Also he's very understanding when it comes to his friends' problems and will always helped them out. Ganyemede is also bit of a lady's man. He loves to flirt with Amazon Quartet by teasing them. Ganymede is a big and a strong man. These traits allow him to be a risk taker. He always laughs at the fear of danger. He loves to challenge people to friendly contests. He's very humble when it comes to winning and losing. However he loves to win and will always give 110%. Ganymede takes pride in his skills of combat and trains almost everyday. Welcome, Yami! Congratulations and I'm glad to have you aboard! If you would like to change your username to Ganymede Knight, send me a PM and I will change it immediately! Ganymede stood behind the door that lead into the knights room. He had the door cracked and was placing a bucket of water on the top. He was playing a prank on any of his fellow knights. His prank was a classic one, when someone opened the door a bucket of water would fall on their head. When he got the bucket in place, Ganymede hid behind a couch that was in the room. He sat there for several minutes waiting for a follow knight to come in. He then suddenly heard a loud thud and a scream. Ganymede jumped up with a grin on his face, but it soon faded when he saw the victim of the prank was a servant. Ganymede walked over to the man and helped take the bucket off his head. "Sorry, the prank wasn't for you," he said. "It's all right, sir," said the servant and bend down to pick up the sheets that he dropped. They were now slightly wet. He then walked passed Ganymede headed to the knight's sleeping quarters. Ganymede took the bucket with him and went outside. He walked passed the training grounds and no was there since today was a day off. Ganymede walked over to the stable and went inside. He placed the bucket on the ground and went over to his horse, Thunder. Ganymede pet her on her nose and then got her out. He decided that today was a nice day for a ride. He took her outside and placed a saddle on her back and placed the reins around her nose. Ganymede then climbed on to her and grabbed a hold of the reins. He pulled on them and Thunder started to walk. Ganymede pulled on them harder and Thunder took off running in the forest that was near by. Ganyemde entered the forest at a fast pace. He looked around the surroundings admired the beauty of the forest. He then turn his attention toward what was up ahead and he saw a big rock approaching. Ganyemde pulled on Thunder's reins when he got closer to the rock and she jumped over it. She then kept on running deep into the forest. After awhile Ganyemde, noticed a clearing up ahead. When he got closer he noticed a small cliff and the other side the forest continued. He pulled on Thunder's reins yet again to have her speed up. They got closer to the cliff and Ganyemde hit Thunder on her sides with his legs. She leaped over the cliff and landed on the other side safety. Ganyemde then let out a huge laugh. He felt adrenaline pumping through his veins and he loved every minute of it. Eventually he had Thunder come to a stop when he noticed a waterfall up ahead. He got off his horse and sat down on rock that looked over the waterfall. He took off his shoes and socks and his shirt. Ganyemde then stood up and rolled off his pants up. He then dived into the stream down below. He swim around for a bit and then floated on his back. He really was enjoying his day off. Crystal Tokyo is safe in our hands!